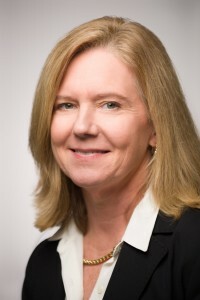 Terri Pendergrast joined Nall & Miller in 2010 and specializes in civil rights litigation and constitutional law cases in federal and state courts. Earlier in her career, Ms. Pendergrast was an associate at Boyce, Ekonomou and Atkinson where she was a member of the firm’s litigation team specializing in insurance company receiverships. She also served as a Special Assistant Attorney General representing the Georgia Department of Insurance. Ms. Pendergrast is an Atlanta native and earned a Bachelor of Arts degree from Emory University. She attended law school at the University of Georgia where she was a staff member of the Georgia Journal of International and Comparative Law. Upon completion of her law degree, Ms. Pendergrast served as a law clerk to Judge George Kreeger in Georgia State Court. Ms. Pendergrast is active in pro bono and community activities. She currently serves on the Board of Directors and is former board chair of Odyssey, an educational non-profit partnership between the Westminster Schools and the Atlanta Public Schools. Ms. Pendergrast is also a board member of Rabun Gap Nacoochee School where she has chaired the Governance and Development committees.